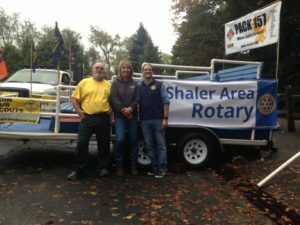 The Shaler Rotary Club acquired the district float driven by Ken Batko who escorted the Cub Scouts of Pack 157 from Elfinwild Church, Glenshaw in the Shaler Homecoming parade. 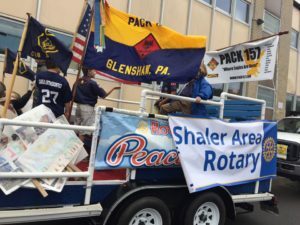 The cub scouts are a great organization that we are happy to support. 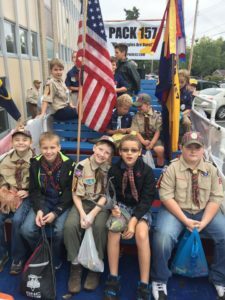 Their oath is: On my honor, I will do my best To do my duty to God and my country and to obey the Scout Law; To help other people at all times; To keep myself physically strong, mentally awake and morally straight. 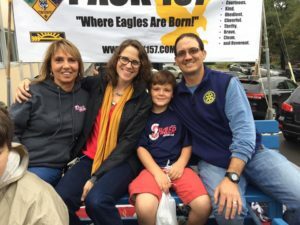 We enjoyed spending the morning with a great group of boys.